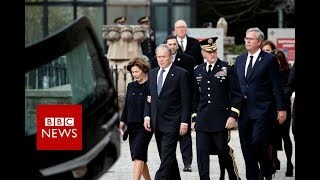 Media caption"The last words he would ever say on Earth" - George W Bush delivers his eulogy to his fatherAn emotional George W Bush has paid tribute to his father, former President George HW Bush, during a state funeral in Washington. 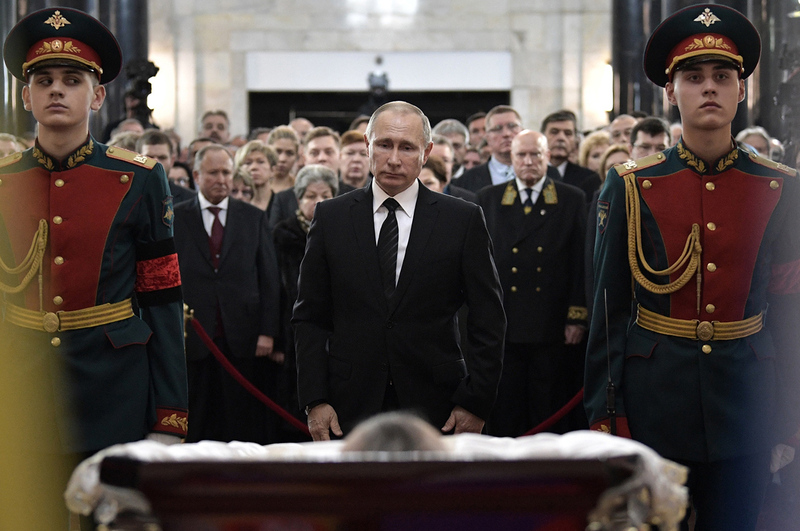 Image caption The Trumps, Obamas, Clintons and Carters all attendedWhat happened at the funeral? 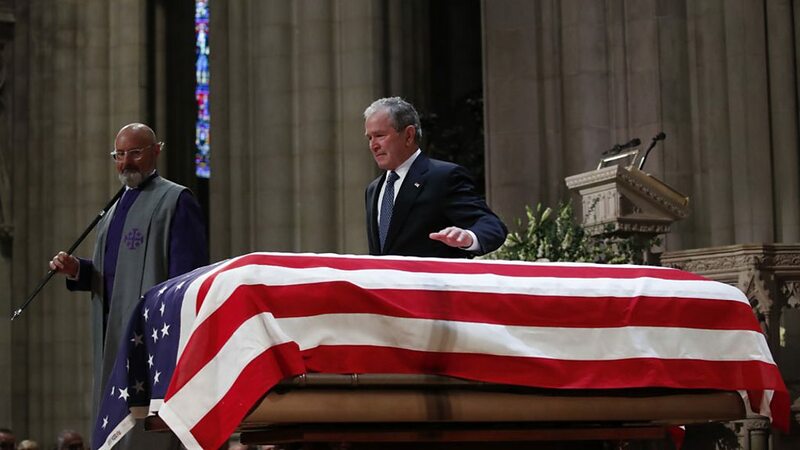 Following the funeral service, Mr Bush's flag-draped casket was carried from the cathedral by a military honour guard and will be flown to Texas, where it will lie in public repose until Thursday morning. Image copyright AFPThere will be a second service before the Bush 4141 - a train which was named in honour of the president - takes his body to its final resting place at the George HW Bush presidential library. 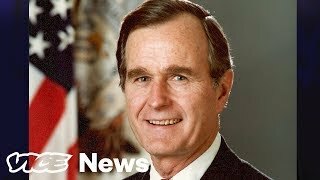 Media captionA look back at the life of George Bush SeniorHowever, he was accused of neglecting domestic affairs and, after reneging on a campaign promise not to increase taxes, lost to Bill Clinton in the 1992 presidential election.